When a global pharmaceutical company began planning for its annual pharmacists’ conference, a key priority was to implement a successful communication strategy for delegates. Objectives included streamlining the registration process ahead of the event; creating an engaging, interactive experience for attendees during the event; and providing detailed reporting after the event. True to its reputation for innovation, the company was thinking outside the box in its communication approach. One of the senior managers at the company’s headquarters was already familiar with SnapComms software: for the past three years, the company had been regular users of tools such as desktop alerts, tickers, video alerts, corporate wallpaper and quizzes to communicate important information to its 400+ staff. But sending content externally using SnapComms was breaking new ground. Was it realistic to ask delegates to download the SnapComms device on to their own mobile device? In previous years, the process for registering delegates and confirming their attendance was a manual, time-consuming one, completed on the morning of the event. But this year the organizing team was keen to find a better way to drive RSVPs. Email did not have the cut-through required, nor the reporting functionality. 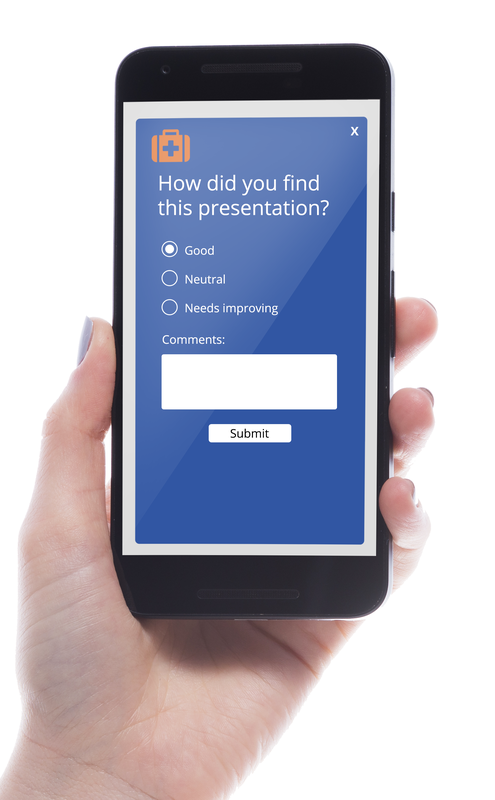 Similarly, on event day, the team wanted to digitally capture audience feedback on the quality of each session in real time – rather than requesting delegates to complete a paper-based survey that then required manual collation – and inject some fun and interaction via live polls and quizzes. 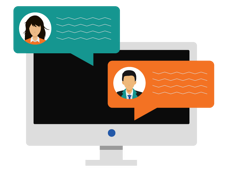 Once the company’s Technology department had completed their testing of external usage of SnapComms tools (via the cloud), it gained SnapComms licences for the Survey, RSVP and Video Alerts channels – all of which are designed to work beautifully on mobile devices. Each of these bypass email completely to deliver content directly on-screen. Distinctive company branding combined with the attention-grabbing nature of these channels ensured the messages were hard to miss. Each notification could be set to periodically repeat until a reply had been received (note: this simple feature is proven to lift response rates significantly). The next step - to get delegates to download the app - was critical to the program’s success. The response rate exceeded expectations, with nearly 300 out of 460 delegates installing the SnapComms app. As a result, organizers were now in a position to start communicating in an exciting new way. In the lead-up to the conference, the company demonstrated marketing excellence through the smart use of SnapComms tools. For example, the survey notification tool was used to confirm attendance and gather information about each delegate. The results of which were used to create sub groups so that follow up content could be appropriately targeted. Promotional videos were sent direct to delegates’ screens using the SnapComms Video Alert, stimulating interest and momentum as the event drew closer. On the day, conference staff ran multiple surveys which appeared directly on the attendees’ mobile screens. These surveys ranged from rating the quality of a presentation to entering a short quiz with spot prizes. The conference team could see results in real-time and draw instant winners. On conclusion of the event, the team could access comprehensive reports detailing the total number of delegates; most attended and highest rated sessions; and the level of engagement throughout the conference. To start with, the high take-up rate of the app surpassed expectations with two thirds of delegates downloading the app. This allowed the organizers to communicate in a more relevant and engaging way – and in a format far more effective than email. Generally, the new communication strategy performed better than hoped. A lot of very positive feedback was received from delegates, who enjoyed the live and interactive format, such as answering a few questions about a seminar they’ve just listened to. The company is already planning to implement SnapComms for their next conference as well.